Lock in a great price for Casa do Conto & Tipografia – rated 9.4 by recent guests! Stylish Hotel and Private small boutique Hotel with friendly staff. Breakfast was very good with fresh fruit and other nice options. The bed was comfortable. Very modern design, see ceilings in pictures. Staff is very nice. 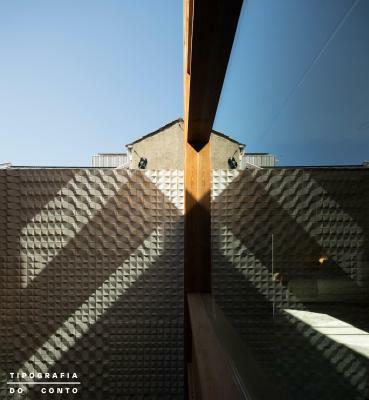 Great design hotel. It’s very comfortable and neat. Very nice staff. Great architecture and breakfast. Everything about this boutique hotel was perfect for us. The staff very friendly and helpful especially Raoul he was super helpful and had such a positive attitude. The room was spacious and clean the breakfast fresh and tasty. It's a stylish quiet and very clean place. We loved it. Beautiful building! The staff was amazing - incredibly helpful and kind. This is a beautiful place to stay! We loved our room which was very spacious. The beds are so comfortable. The whole place has been decorated very tastefully and is very stylish. The breakfast is very good with lots of things to choose from, including homemade cake. The staff are incredibly friendly and helpful and really want to help make your stay as enjoyable as possible. We would definitely stay here again. A very charming building especially if you know the story behind. Posh design yet with strong Portuguese essences. Comfortable bed and pillows. Raul is extremely helpful and patient with our enquiries on the area and the toll systems in Portugal, thanks Raul. Gorgeous room with separate kitchenette. Stylish design and decor. Lovely staff and excellent breakfast. 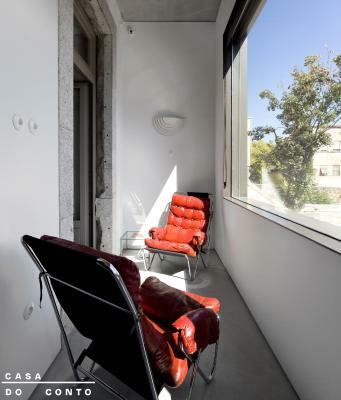 Featuring 2 properties 1,150 feet away from each other Casa do Conto & Tipografia are renovated 19th-century bourgeois buildings in Porto, 1,650 feet from Casa da Musica Metro Station. Including free WiFi and ceilings with printed texts, all rooms and suites come with a balcony and city views. 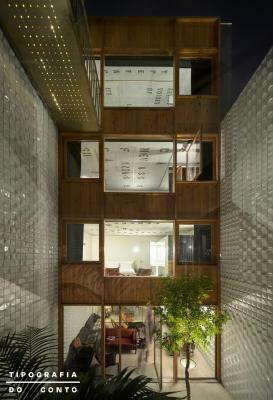 Its spacious, concrete suites are furnished with designer items and period furniture. A breakfast buffet is freshly prepared each morning in Casa Do Conto’s dining room or on the patio. There is also a garden with fruit trees and a lounge. 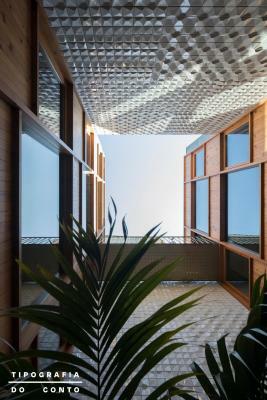 Tipografia do Conto features a bar and a swimming pool that may be used by guests of the Casa do Conto, free of charge. Guests can read newspapers in the library or use the free internet computer to check mails. The 24-hour reception staff can make restaurant reservations or organize sightseeing trips to museums. The Carolina Michaelis and Lapa Metro Stations are located a 2-minute walk away from this property. ‎The medieval Church of Cedofeita is 650 feet away. 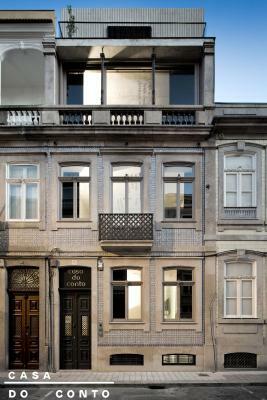 뀐 Located in the top-rated area in Porto, this property has an excellent location score of 8.6! 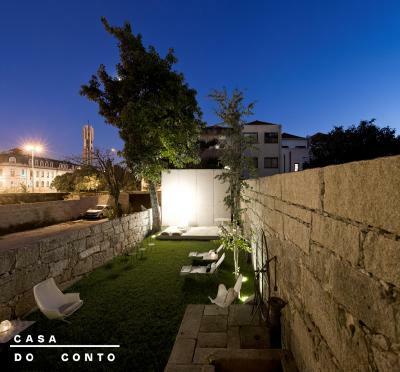 When would you like to stay at Casa do Conto & Tipografia? This double room features a mini-bar, electric kettle and soundproofing. This double room features a balcony, mini-bar and private entrance. Area Info – This neighborhood is a great choice for travelers interested in atmosphere, walking and architecture – Check location Great location - show map Guests loved walking around the neighborhood! 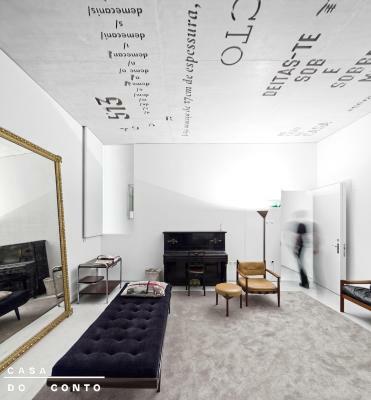 House Rules Casa do Conto & Tipografia takes special requests – add in the next step! Casa do Conto &amp; Tipografia accepts these cards and reserves the right to temporarily hold an amount prior to arrival. Casa do Conto & Tipografia accepts these cards and reserves the right to temporarily hold an amount prior to arrival. A little far from main downtown but not a big problem. Love the decor. Great breakfast. Can’t think of anything, it was all great! The bathroom was very small but adequate for 2 just. The room is large, with high ceilings, the AC is underpowered for the space. Cools it somewhat, but we slept on top of sheets. Some of the designs are not practical. The switches to off the lights are not next to bedside. Small toilet. Excellent service. Very spacious room with high ceiling. About 30 minutes taxi ride from airport to hotel (booked through hotel €25). Hotel is near Carolina Michaellis Metro Station and walking distance to old town. We decided to take a taxi (booked through hotel €15) to the train station instead of taking the metro. However on our day of departure to the train station, hotel staff informed us that the taxi drivers were on strike and hotel staff offered to take us to the train station instead and refused to accept our €15 for the transfer. Breakfast was good with freshly cooked eggs. Loved the decor and design. Very friendly and helpful staff. Superb breakfast. I was really impressed by the staff. warm welcome and very good recommendations for the visits of Porto. All the people off the staf did his best to provide good advises, for restaurants and places to go. They made booking for us and made everything, very easy. They even propose to do an early breakfast specialy for us, as we had to leave early for the airport. The parking in front of the hotel is very convenient! A very nice place, impressive design of the rooms, with very nice people.